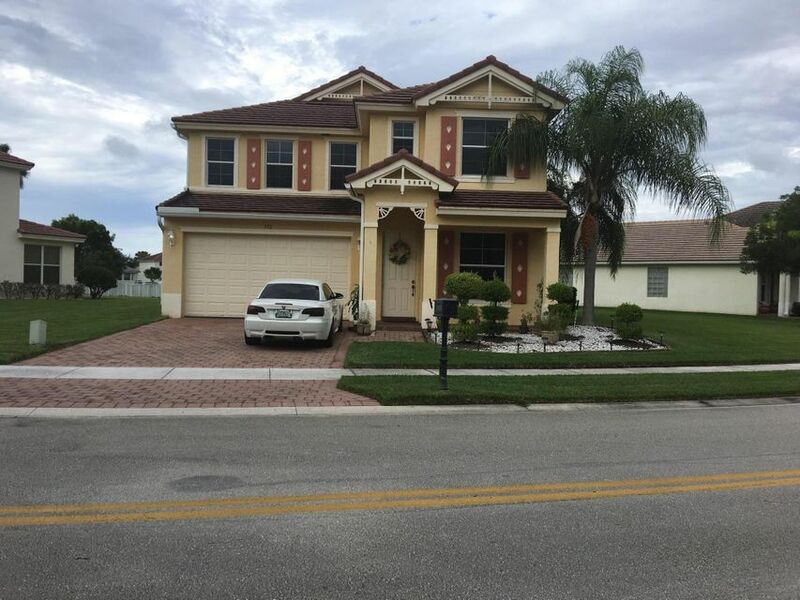 This Royal Palm Beach home at 372 Belle Grove Lane has received a price change! This home features five (5) bedrooms and four (4) bathrooms with wood flooring throughout the main living areas of the home. Stainless steel appliances, a center island and bar seating can be found in the open style kitchen. This home is complete with an oversized yard and a covered lanai which overlooks the lake.